"Mike Mentzer Muscle Growth Stories and Secrets to Gaining Mass"
Feeling frustrated by poor size gains? Discover the secret to gaining mass with Iron Mike's muscle growth stories! Following a recent post, we had a stack of letters drop in our mailbox asking about mass gains and the role strength increases play in its development. One question that continually cropped up was, how much strength must you build in order to see any improvements in size? Well, let's begin by saying if you are frustrated by poor size gains, you are not alone. No-one - not even championship bodybuilders - are completely satisfied with their training results. But here's the thing: you can trust me when I say, you WILL eventually gain more size with each strength increase you make. Sure, it may take a while. And yes, it will take more work and effort than you originally bargained for, but you WILL get bigger as you get stronger. But how long is this process going to take? Here is a sobering thought for you: even the genetically gifted can go months without witnessing any noticeable signs of their results. 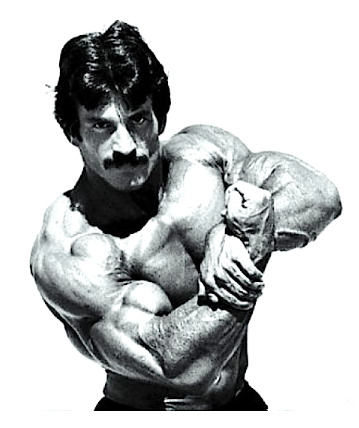 For example, former Mr. Olympia Mike Mentzer often went as long as four months without gaining size! "I was one of those individuals who gained strength prior to size increases. I can remember in the early part of my training career especially, there would be periods of even as long as four months – I can remember this very clearly – during which I would get stronger on a regular basis and not gain any weight. As a result, I grew enormously frustrated and almost gave up, more times than I care to remember. And when I say 'frustrated', I mean painfully, agonisingly frustrated. It was only years later that Arthur Jones pointed this out – and I saw it was true in so many cases – that for most people, strength comes first." You see, what you have to realise, is this process can't be hurried. You must also realise this adaptive process is the same for everyone, whether you are twenty-five or fifty-five. Understand this important principle, and you will go a long way in preventing the onset of frustration with your training efforts and size gains. So to return to our earlier question: how much strength must you build in order to see any improvements in size? The answer is simple - you must be stronger than you are right now. This means, if you are a beginner, you must strive to meet the minimum strength standards (see below). And what if you are a more advanced lifter? Once again, the same rule applies - you must be stronger than you are right now. At the bottom of this page, you will find a link to some weight lifting numbers you should shoot for. Aim to meet your desired strength standards, then just like Iron Mike, let any size increases take care of themselves.